Syracuse University will host its third Entrepreneurship Bootcamp for Veterans’ Families (EBV-F) program beginning Friday, March 8, and running through Saturday, March 16. 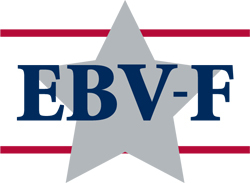 EBV-F leverages flexibilities inherent in small business ownership to provide a vocational and economic path forward for military family members and/or surviving spouses of those who gave their lives in service to the country. Founded in 2010 at SU’s Whitman School of Management, the program is operated by the University’s Institute for Veterans and Military Families (IVMF). EBV-F positions family members to launch and/or grow small businesses in a way that is complementary or enhancing to family responsibilities. This year, 23 participants (the largest Syracuse EBV-F class to date) will be exposed to the nuts and bolts of business ownership. These 19 women and four men span the ages of 22 to 64. They hail from every corner of the U.S., including Alabama, Arizona, California, Florida, Georgia, Maryland, Oklahoma, South Carolina, Texas and Virginia. Participants include family members of veterans and active duty members of the Air Force, Army, Marine Corps, Navy and National Guard. They have business ideas and ventures that include a bakery/café, consulting, wedding/event planning, bed and breakfast, physician’s office focused specifically on veteran care, graphic design, local magazine, and restaurants and pubs, among others. Offered in three phases, EBV-F provides veterans’ families with skills necessary to successfully launch and grow a new business. Through online coursework, an intense residency experience and 12 months of ongoing support and mentorship via the EBV-Technical Assistance Program (EBV-TAP), participants learn how to write business plans, raise capital, attract customers and develop a marketing strategy. During the SU residency, participants are exposed to accomplished entrepreneurs, academics and business leaders from across the country. The residency experience is intense: a typical workday begins at 7:30 a.m. and ends at 10 p.m. Participants spend their time on campus in classes, workshops and breakout sessions, hearing from industry professionals about practices that will help them start a business and/or grow a current endeavor. They also attend a few social events to encourage discussion, camaraderie and provide a taste of the Syracuse community. The EBV-F is also offered through the national EBV consortium at Florida State University. For more information, contact Jared Lyon, EBV and EBV-F national program manager, at 315-443-6007 or jslyon@syr.edu.